End Source of Income Discrimination in Renton! Home › Advocacy › End Source of Income Discrimination in Renton! Posted October 28, 2016 by Gordon McHenry, Jr.
Update: The City of Renton on Nov. 7 passed an emergency fair housing regulations ordinance prohibiting discrimination of tenants participating in Section 8! Landlords are prohibited from discriminating against tenants and potential tenants based on participation in Section 8; civil penalties are prescribed for violations. Landlords in Renton are booting qualified tenants because they pay rent with federal Section 8 vouchers. In this open letter to the Renton City Council, Solid Ground advocates for protections against Source of Income Discrimination. Solid Ground works throughout our region to help people overcome poverty and thrive. We provide tenant counseling and case management services that keep thousands of people throughout King County — including dozens of Renton residents — out of homelessness. Our case management teams work with hundreds of families and individuals experiencing homelessness to get them back to stability. We know from our 40 years of direct experience that preventing someone from becoming homeless is not only significantly less expensive than serving them through the continuum of care, it also pays increased social and economic dividends by reinforcing families and the fabric of our communities. Our Tenant Counselors get calls from all over the state, over 100 annually from people living in Renton. Rent increases and the subsequent lack of affordable housing are the biggest issues we see; they affect moderate-income tenants as well as people living on fixed and low incomes, including seniors. Increasingly we know that in this incredibly tight market, some people’s money is worth more than others. Funding from Section 8 vouchers, financial commitments from nonprofits like Solid Ground, etc., are deemed less worthy by some landlords — less valuable than money from other sources. In Seattle, discrimination against income from Section 8 vouchers is illegal. A new law extends that same protection to other types of revenue that have been selectively used by landlords to discriminate against people and groups. Of course, there is so little affordable housing in the City of Seattle; the people who come to us increasingly need to look outside of the city limits to find a place they can afford. 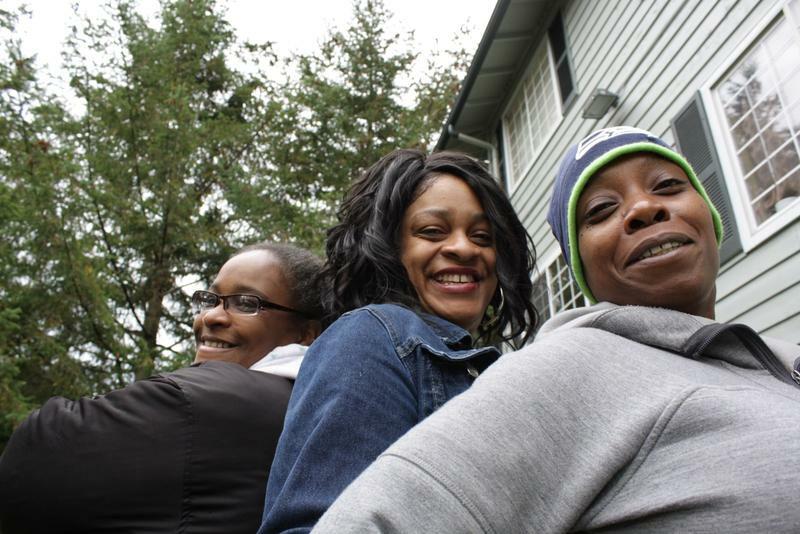 Increasingly, our program participants look to south and east King County. We know that redlining and other historic racist practices are root causes of homelessness and poverty. People of color disproportionately live in poverty because of the practices, policies and laws that have put them there. The recent news from Renton is incredibly troubling in the way that people of color are disproportionately affected by landlords’ decisions to not accept Section 8 vouchers. Landlords should not have the power to make these discriminating choices, especially when to do so puts people out on the streets who do not have the financial capacity to sustain market-rate housing. We strongly urge the City of Renton to enact legislation to prohibit Source of Income Discrimination in the rental market. It is the right thing to do. It will prevent homelessness. And it is better for the welfare of everyone in your city.